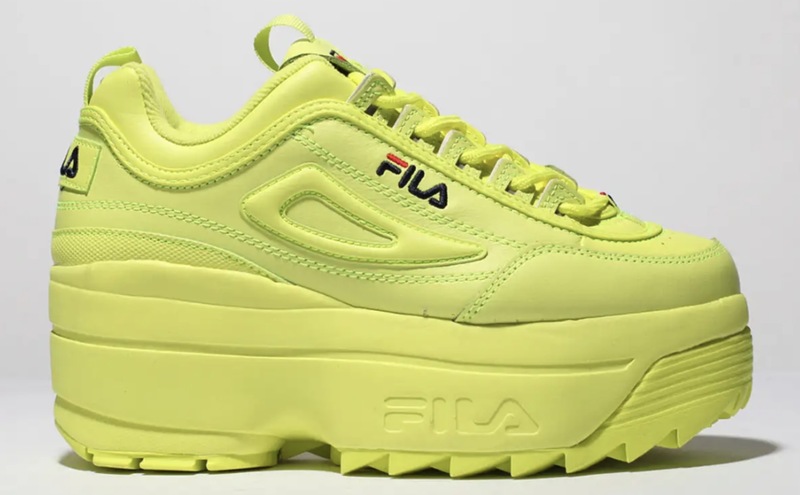 The Fila Disruptor II silhouette is no stranger to criticisms, but that hasn’t seemed to stop this one from lifting the bar even higher. Schuh have just unveiled 3 colourways of the newest, highest silhouette, sitting at a huge 8cm high. 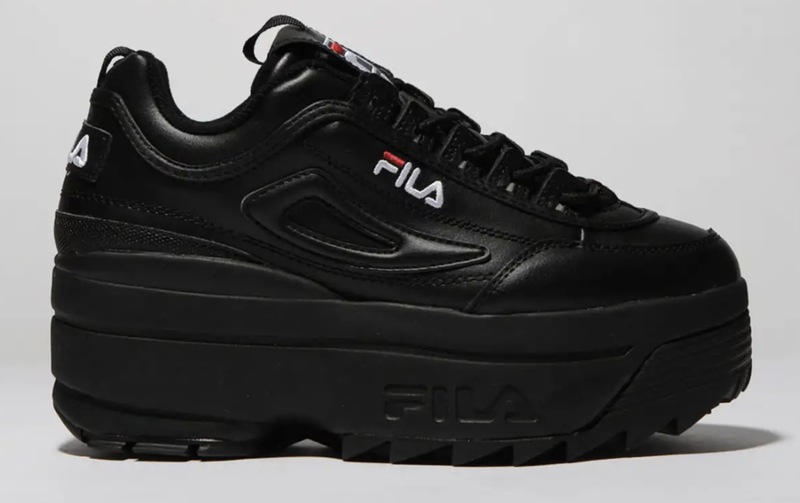 If you’re a lover of the chunky silhouette, then feast your eyes upon these flatforms below! Arriving in Triple Black, Triple White and Lime, these silhouettes are made to stand out. 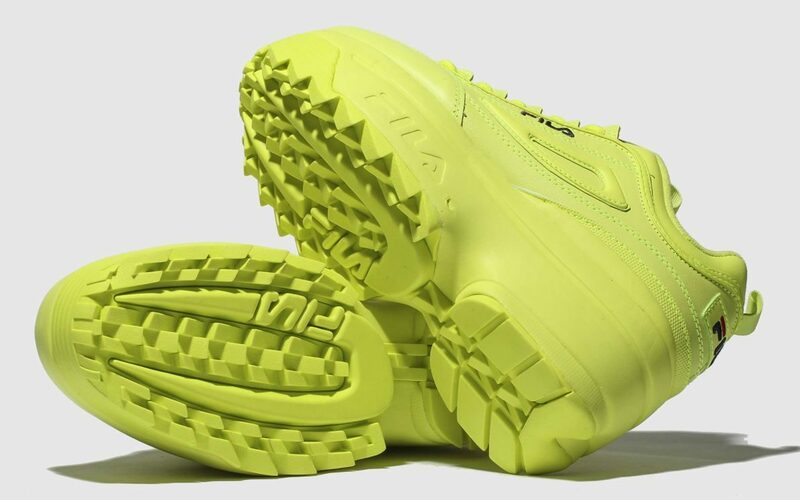 Perfect for the ending of AW18, trudging through weather conditions with a super grippy midsole and elevating your style straight through to SS19 with light and bright colourways. 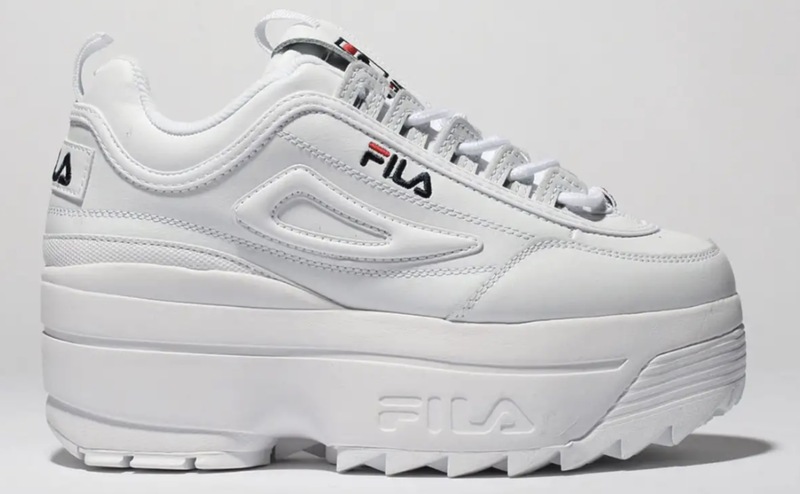 Doubling the already chunky midsole, this silhouette takes it to the next level, showing off a smooth sidewall, linear debossed detailing and Fila branding on the sides, as usual. 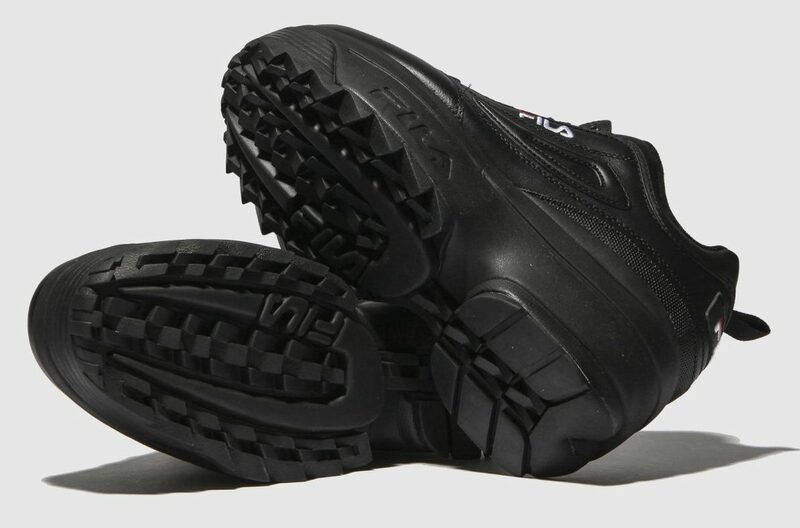 The front shows off a line detail above the cleated outsole below foot, assuring you of the usual premium grip despite the extra cm’s. 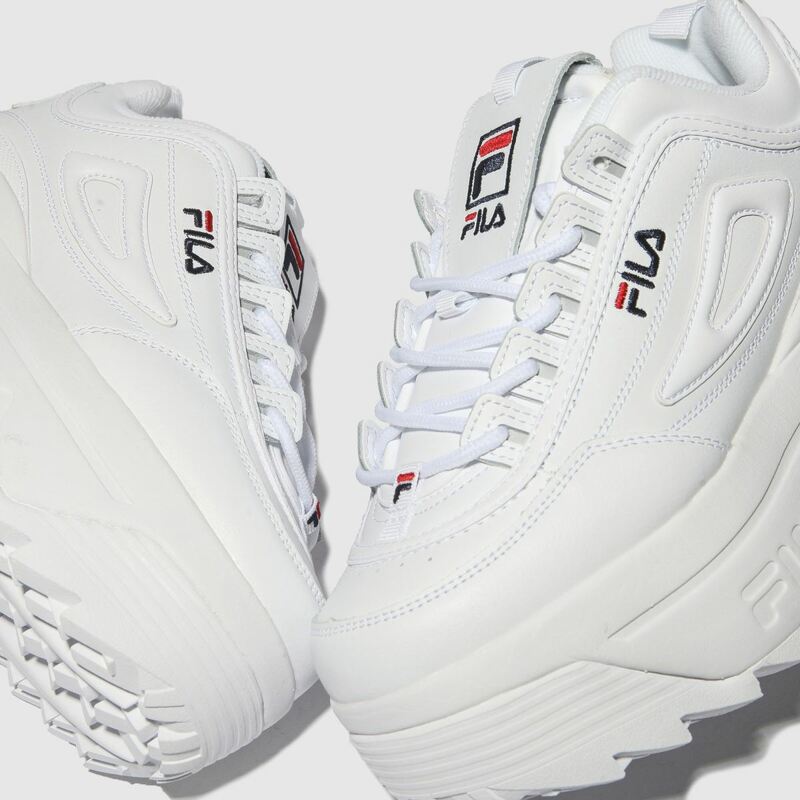 Fila branding has been embroidered into all of the usual spots, on the sidewall, tongue and base of the lace unit, as well as on the heel of the sneaker. 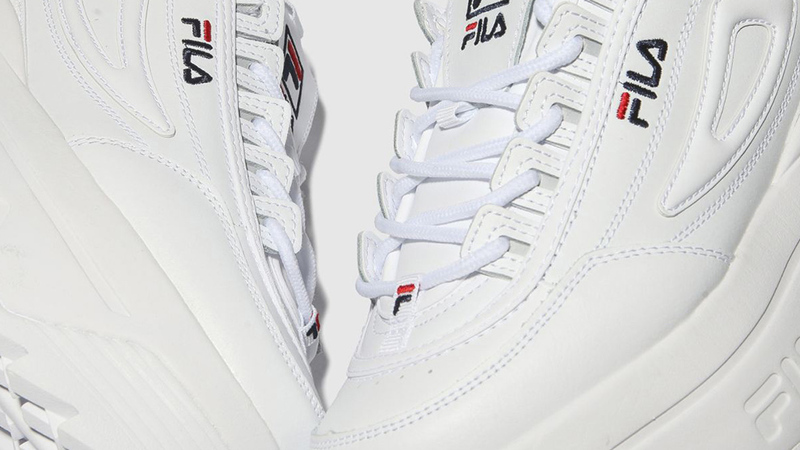 In the classic navy/red and white/red colourway patterns on all three silhouettes, you’ll be getting signature Fila styling shining through on these kicks. 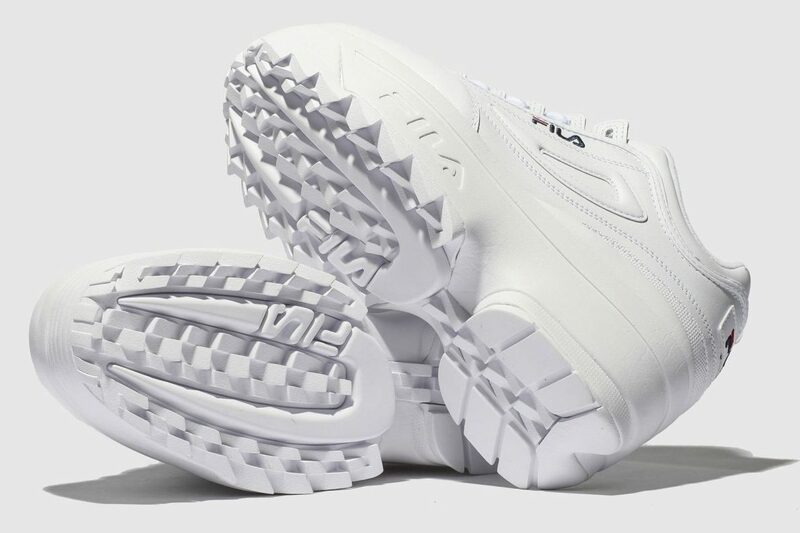 The leather upper will be keeping your feet cosy and kicks durable while the perforations on the inner wall will be allowing your feet breathability. 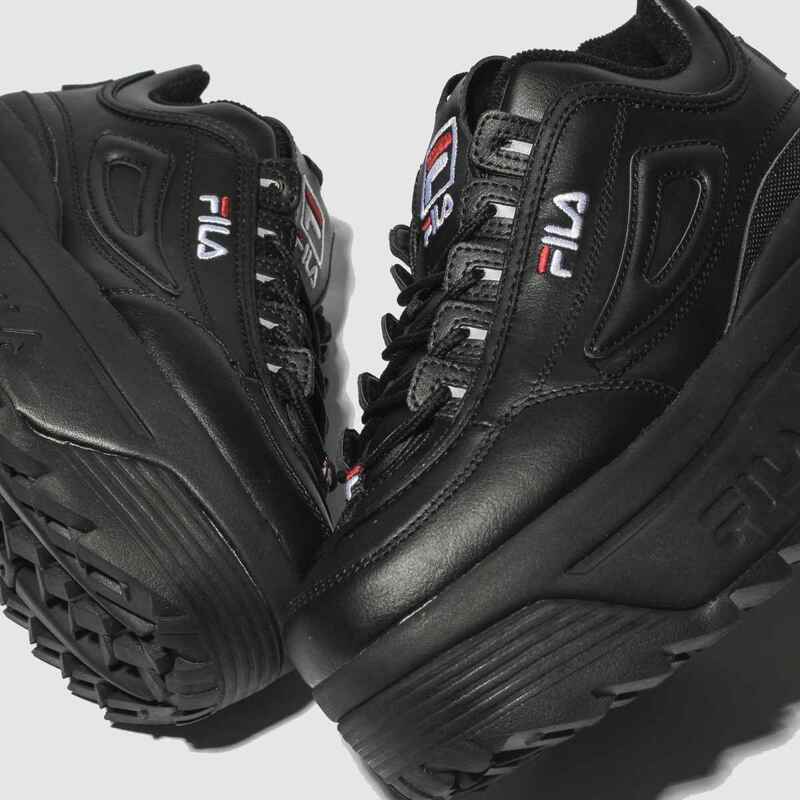 A soft material has also been used on the inside of each, giving you further comfort in your platforms. The EVA midsole below foot wont only be boosting you up but also giving you that cushioned shock absorption with each step. 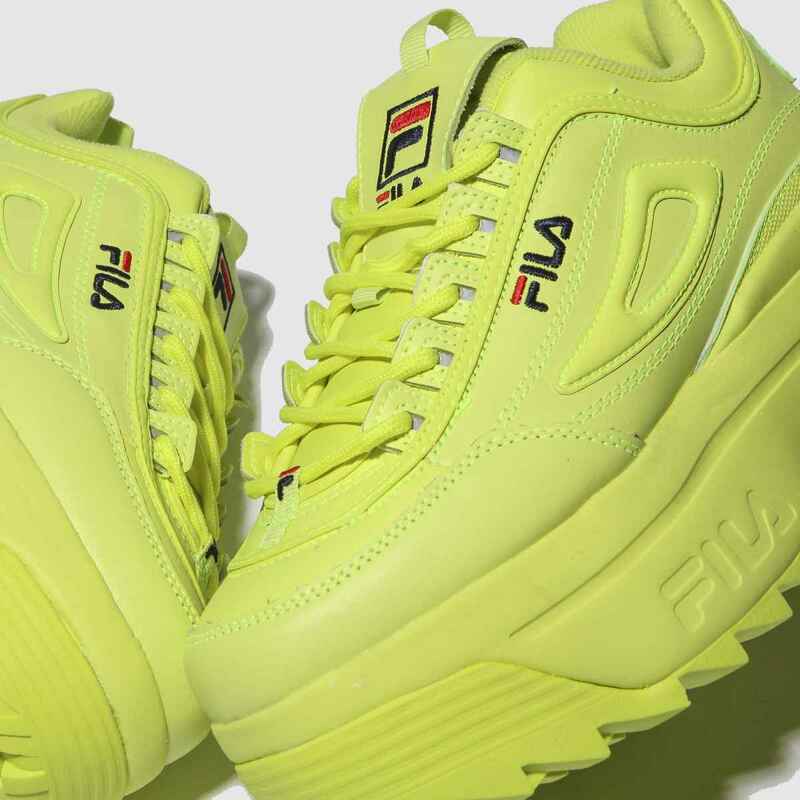 All three colourways of the new and improved Fila Disruptor II Platform are available on Schuh right now. Head to the links on this page to shop the silhouettes today!